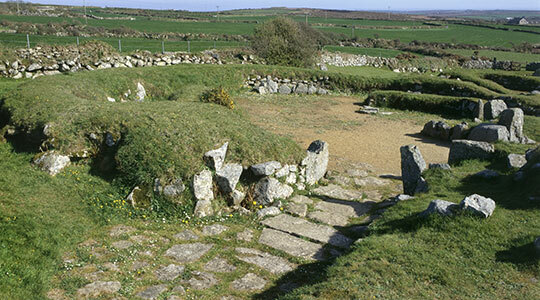 Excavated between 1964 and 1972, Carn Euny Ancient Village is one of the best preserved sites of its kind in the south west - comprising of the foundations of ancient stone houses as well as an underground fogou. 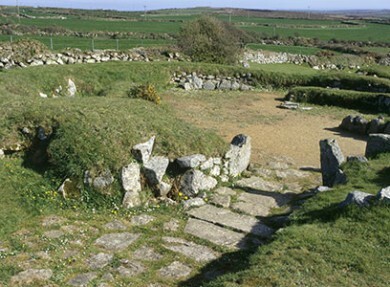 The site is believed to have included a minimum of 10 houses that were occupied at various stages during and following the Iron Age, set out in an interlocking pattern. Whilst there is nothing left of the Iron Age houses that once stood, originally there would have been two types seen here. These would have been both the standard type found across Cornwall during this era as well as a 'courtyard house' which have only been found in the west of the county. 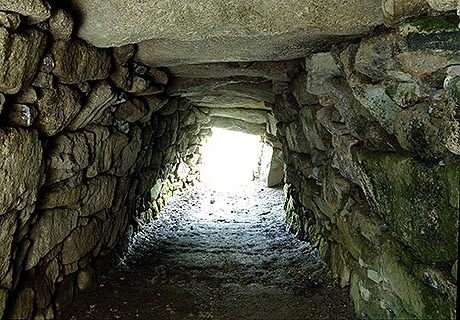 The fogou (a type of monument that is only found in the west of Cornwall) has a serpentine entrance passage leading to an underground stone chamber; the use of which is still unclear. Some suspect that it could have offered a place of refuge, functioned as a cellar or may even have some ritual significance. Free to visit, the site can be explored during any reasonable time during daytime hours. The history of the site, having been occupied at various stages from the Iron Age through to late Roman times. 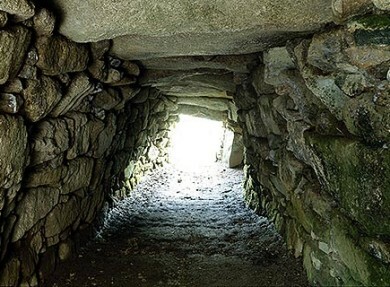 The fogou – an intriguing underground stone chamber, the purpose of which is still unknown.